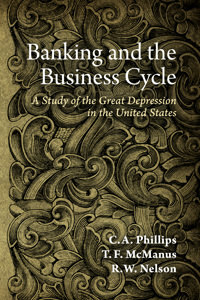 It explores the many theories tossed about at the time, and concludes that the theory "here developed may be called a 'central banking' explanation of the depression. The depth and duration of the depression are held to be the ineluctable consequences of the preceding boom. That boom could never have lasted as long as it did, nor could it have assumed the proportions it attained, under the old National Banking System. The boom and depression were therefore proximately caused by central bank credit expansion." We can see, then, why Austrian economists have long held this book in high esteem, though it has been nearly impossible to find for many years. Murray Rothbard himself picked it as among the 20 most significant economics books of the 20th century.